This feature first appeared in the May 2011 issue of Marketing magazine. 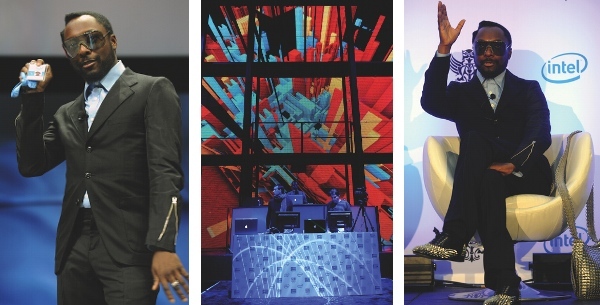 Intel ditches the geek-speak and is now rubbing shoulders with pop culture icons like The Sartorialist and Will.I.Am. Belle Charlene Kwan uncovers the reasons behind the IT giant’s new cool persona. Just three letters repeated five times on a page and we bet that the iconic ‘Intel Inside’ tune is now sounding in your head. While the more tech-savvy would be able to immediately identify the sound with Intel, even the most casual of computer users would have most definitely come across the little medley. Kate Burleigh, marketing director of Intel Australia, claims that the chime, called the ‘Intel Bongs’, is the most recognised sound in the world. This is a rather large claim to make for five notes created in 1994 simply to accompany the ‘Intel Inside’ campaign. When, however, the statement comes from a brand that is respected by almost every computer user in the world, perhaps that claim can be justified. Another big tout from Intel is that its brand spearheaded the trend of associative or co-op marketing with its ‘Intel Inside’ campaign. Burleigh even suggests that Intel should be credited for helping build the popularity of Wi-Fi! With such bold proclamations, one does ponder how did Intel – a microchip manufacturing company that produces processors no bigger than a quarter of a square inch – reach such fame and recognition? Because, quite frankly, most of us will go our entire lives without ever actually seeing an Intel product, but, unknowingly, using one each day. According to Burleigh, aside from producing what is commonly regarded as the most reliable and efficient computer processing chips in the world, Intel is, all about branding. The brand strategy is simple – make consumers care about Intel. That way, they not only want to know more about Intel products, but, more importantly, they build brand loyalty. Burleigh explains that it has only been in recent years that Intel has placed such strong emphasis on marketing Intel as a brand. Started in 1968 by physicist and chemist Gordon E Moore and fellow physicist Robert Noyce, Intel mastered its first microprocessor in 1971, followed by the world’s first microcomputers in 1972. Since then, the company has manufactured processor chips that are used by the majority of computer companies such as IBM (now owned by Lenovo), HP, Dell and, just recently, in 2005, even Apple. During the 90s, Intel dominated the market with the Intel Pentium chip, and stuck to the brand name of Pentium for over a decade. It took until 2006 that Intel made the big move of going through another branding overhaul and rebranded its processors Core. Instead of having a single processor chip, Intel now offers a range of three different chips based on capabilities and performance, naming them Core i3, Core i5 and Core i7. There was also the much talked about partnership with Apple, a computer company that has long produced its own microprocessors. Burleigh explains that in 2005 Apple decided to cease production of the company’s own PowerPC processing chips and switched to Intel because, “Apple knew that Intel had a superior product and that its own processors were holding it back from advancing to the next stage of its product design”. Today, all Apple desktops and laptops run on Intel processors. Intel, which has historically focused much of its marketing effort on pushing the sub brands of its microprocessors, as well as communicating product features, is currently making a shift in its branding strategy. “We are now focusing more on communicating end user benefits and the experience that our products deliver,” says Eda. The aim of the current strategy is to increase brand awareness of the Core line of products, but, more importantly, of the master brand. “Intel used to lead its branding with its processors, like Pentium, but people did not necessarily know that it was an Intel product, or did not immediately associate the sub-brand with the Intel master brand. So, we are going back to basics and building equity in the brand of Intel,” says Burleigh. But why did Intel decide to change a formula that had won the brand its leading position in the market? Burleigh attributes a growing number of competitors leading to a need to gain a louder share of voice. Other microprocessors, in particular AMD, began to gain popularity with the public. This shift was brought about by the growth in low-cost PCs, which did not require the powerful processors that Intel consistently continued to produce, thus leaving competitors free to target original equipment manufacturers (OEMs) that were keen on low-cost, average-performance microprocessors. 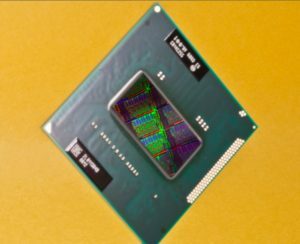 In answer to this varying demand of computing needs, Intel’s new range of Core microprocessors offers consumers three levels of capabilities, from i3 to i7 – catering to the different computer users. “It was crucial, though, that instead of sticking to our formula of product information pushing, we needed to strengthen the master brand of Intel, and remind consumers that Intel should be the only choice for them,” says Burleigh. Building a stronger relationship with its customers is now an important focus for the computing giant, and this is the reason for the birth of Intel’s new campaign, titled ‘‘Visibly Smart”. Launched in January 2010, the campaign’s central message is that Intel is a brand that helps unleash its consumers’ creative potential and has helped inspire individuals to create visibly stunning and creative masterpieces. The campaign was kick-started with a series of short films on well-known creative industry leaders, showing how Intel plays a crucial role in their artistic lives. The most popular of the films featured US blogger and fashion photographer Scott Schumann, better known as The Sartorialist, and is a short documentary on his visual life and how Intel plays a key role in it. The ‘Visibly Smart’ campaign aims to show that powerful microprocessors can make a big difference in a user’s life, as shown by Schumann. Burleigh says, “We want to move away from selling raw performance; we want to show what a high performance processor can bring to life. The use of individuals who are creative and have clout gives us artistic licence – it shows us to be like the paintbrush for an artist, the essential tool of their trade. The brand also recently named The Black Eyed Peas’ front man Will.i.am as director of creative innovations, a move that continues to cement Intel’s presence in modern popular culture. Burleigh explains that with the partnership with Will.i.am, Intel demonstrates to its consumers the same message of ‘Visibly Smart’ through music, where Intel becomes the perfect partner in the artist’s musical creations. “Will.i.am is a music genius. Although he produces commercial pop music, he is involved in every step of the creation, and Intel plays a big part in the tools of his trade. He embodies the Intel brand because he understands how the right technology with the most powerful capabilities has helped him create music,” says Burleigh. Another campaign with which Intel is actively engaging consumers is the ‘Sponsors of Tomorrow’, promoting Intel as a sponsor of consumers’ futures through innovative technology. “Because you cannot see or touch our product, it is important to create an emotional connection between Intel and our consumers,” says Eda. On the production line, it is inarguable that Intel is the most dominant market player in the micro-processing field. Microsoft, which operates on a large number of computers and laptops, currently runs most of its Windows software solely on Intel chips. With superior speed and performance, Intel also balances this off with the design of chips that are able to cool quickly and use minimal battery source. According to Burleigh, while this specific connection is hardly acknowledged, Intel believes that the reason personal computers look the way they do today – slim, light, portable – is primarily driven by the advancement of the Intel processing chips. “We believe that Intel chips are a big factor in driving the creativity of PC manufacturers in giving them so many new options and capabilities to design new looks, thanks to the advancement of Intel products,” she says. Working with multiple OEMs such as Apple, Dell and HP, Intel must understand each of the different brands’ strategies and provide technology that caters to their needs. Whether an OEM wants to conquer the low-cost category or excel in product performance and design, Intel has to be able to provide the right hardware at the right price to align with each strategy. One issue the brand found problematic with its past branding strategy was the lack of focus on the primary Intel brand. Consumers knew how good the microprocessors were, but they labelled them with their own names, often leaving out the Intel branding. Another issue that Intel faced prior to its latest Core offering is the frequency with which the company released new chips, leaving consumers confused and unable to keep up. At the same time, OEMs were also unhappy with having to constantly upgrade their hardware and software to match the latest Intel chips. Another problem stemming from Intel’s frequent upgrades was the confusion in names and consumers being unable to differentiate one chip from another. Burleigh explains consumers research these days before purchasing, and when they come across too many variations of the Pentium chip range, it became overwhelming. With the new range of chips branded Intel Core i3, i5 and i7, Intel is attempting to simplify identification of its product range by using numerals to differentiate each product’s level of performance. “Since we launched the first generation of Core Duo chips two years ago, the feedback is that the strategy has been successful in helping consumers understand the variations. With the launch of our second generation in April 2010, responses from all levels, from OEMs to everyday consumers, are that it is now much easier to identify the different products we offer,” says Burleigh. Burleigh stresses that, more often than not, when shopping for a computer package, the deals that seem too good to be true often are! On 24 April this year, Intel will be celebrating the 20th anniversary of its ‘Intel Inside’ campaign, which the brand proudly considers the first example of a success story in ingredient branding. “At Intel, we call it co-op marketing. We make a partnership that is mutually beneficial for both parties – where if the OEM agrees to put our ‘‘Intel Inside” logo on its product packaging, we will offer them rebates for their final sales. Of course, today it’s common practice across multiple industries, but we are confident that Intel started this trend,” says Burleigh. The bulk of Intel’s marketing strategy relies on third-party opinions. Preferring to let technology experts do the talking, Intel allows for trusted individuals in different target groups to disseminate their own opinions on whether Intel’s products are worth purchasing. This tactic of using brand ambassadors is especially useful in the gaming industry, where, over the last five to six years, Intel has stolen the crown away from AMD as the best gaming microprocessor chip. “We do very little advertising with gamers, but instead let gamers themselves review our products. There will be times when people choose to go with the underdogs, but, at the end of the day, this is a highly technologically driven group of individuals who will opt for the best performing hardware. So instead of directly advertising to them, we let the engineering, and the opinion leaders, speak for themselves,” says Burleigh. As mentioned earlier, the ‘Intel Inside’ campaign successfully branded Intel as a product that, even though it can’t be seen, consumers would know that it was inside the machine they were purchasing, and would consciously seek it out. “By putting our ‘Intel Inside’ logo on either an OEM’s box or on the computer itself, it helps remind consumers that while they do not get to see the Intel chip itself, it is ultimately what is inside a computer that counts, and the campaign taught them to question what processor chip a computer was running on,” says Burleigh. This was especially crucial two decades ago when all computers “were generally rather unattractive and looked the same” adds Burleigh. Consumers would make their purchase decision based largely on the speed and efficiency of the computer, and that was how Intel differentiated itself. Even today, there continues to be an ever-growing demand for faster processing. “At the end of the day, a computer can never have too much bandwidth or processing speed, and Intel aims to live up to those expectations as best as we can,” says Burleigh. 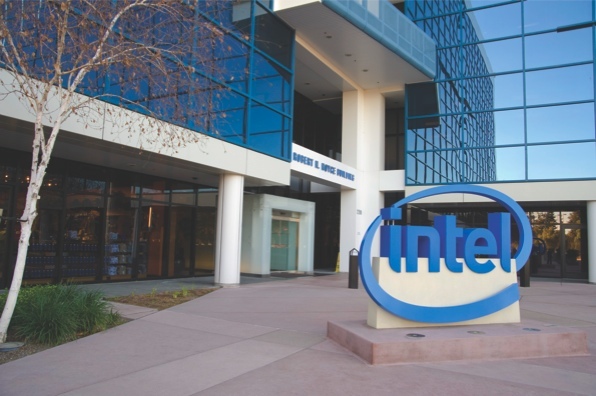 Intel, the head office of which is in Santa Clara, California, manages to embody a brand identity that is cohesive throughout the different regions. This, according to Burleigh, is thanks to the brand’s efforts in listening to various marketing departments from different countries, gathering suggestions and feedback, and finally deciding on branding that is most agreeable and successful for the brand in a global sense. According to Burleigh, Intel Australia engages in heavy channel marketing, where the brand communicates closely with resellers. 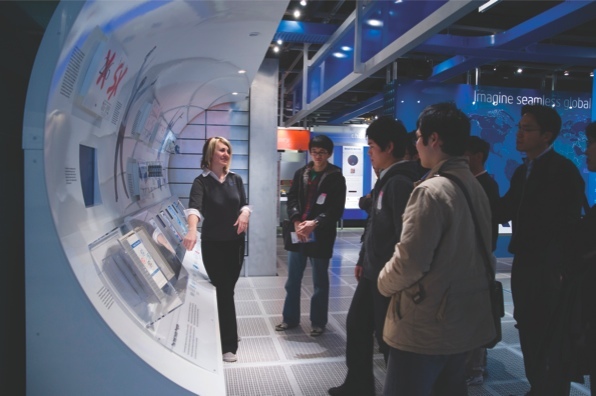 By understanding how different retailers operate and the products that do well in different stores, Intel is able to cater to each retailer’s unique needs and promotional advantages. In terms of mainstream advertising, Intel Australia can be noted to advertise in two main bursts each year with a strong use of television. Over the past two years, the branding message has seen Intel reinvent itself from information-heavy to having a quirky and creativity persona that reflects a modern and trusted brand. With the ‘Visibly Smart’ campaign, Intel has tailored the content to suit different cultures and cities that Intel has successfully penetrated. In the APAC (Asia-Pacific) region, in particular Korea, Taiwan and south-east Asia, instead of using Hollywood and mainstream US celebrities to execute the creative content, different brand ambassadors have been chosen. Earlier this year, Intel chose Girls’ Generation, a highly popular Korean pop group, to launch the second generation Intel Core collection by filming a music video that featured stylistic renditions of the new logo to “communicate the excitement of visual experience brought by the new processing chips,” says Intel’s Asia Pacific marketing manager Makiko Eda. In Australia, Intel was heavily involved in supplying immediate aid to Queensland and parts of Victoria affected by the recent flooding. Intel has also been actively involved in building the education sector by providing free training for teachers on how to embed technology into their everyday curriculum. 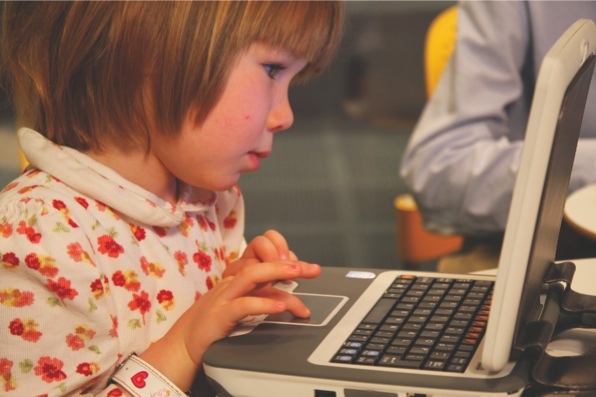 “We want to teach them to be comfortable around technology, because, at the end of the day, teachers educate our children, who will in turn become computer consumers, but, more importantly, potential engineers and developers of the computer industry. We want them to be properly educated and it obviously has to begin with the educators,” says Burleigh. The company also has a charity scheme, whereby the company matches employee donations. Whether it’s natural disasters or an ongoing long-term charity, Intel attempts to support employees’ philanthropic efforts to give back to the community. At the same time, Intel regularly sends volunteer teams to areas that are affected by tragic natural disasters. And, as a rule, should any Intel employee wish to volunteer and be part of the relief effort team, their managers are required to allow them days off without affecting their salary or performance review. Though Intel seems to have a strong grip on being the dominant player in the micro-processing industry, there are technology experts and forecasters who predict that this monopoly may not go on forever. 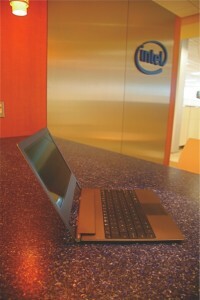 Steven Titch, a telecom and IT policy analyst who writes at www.techliberation.com, says that with the growth in popularity of smartphones and tablet PCs, there may be disturbance in the market with the entrance of other chip manufacturers such as Nvidia, Qualcomm and Texas Instruments. “In high tech, one company may dominate a sector for a while, but a convergence of trends can dislodge that grip quickly,” says Titch. On Intel’s front though, the brand will continue to drive its ‘Visibly Smart’ campaign to further strengthen its new identity as a creative tool. Burleigh also envisions Intel once again making a big leap in the uptake of technology and unique branding. “First, there was the use of sounds for corporate identity, and embracing co-op branding. I also believe that Intel helped bring Wi-Fi technology to where it is today. 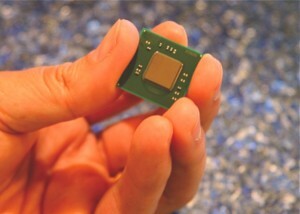 When we first launched the Centurion chip, we embedded the ability to have wireless internet in all the computers that came with our chip. However, Intel’s squeaky-clean image may be slipping. The brand ran into public relations nightmare on 31 January this year when the company had to recall $700 million worth of ‘Sandy Bridge’ parts, a code name for a Core processor running on many PCs. Netizens flooded forums and blogs expressing their unhappiness at the brand. With a growing number of competition brands dipping their toes into the market, it would not take many more mishaps before Intel slips off their pedestal. Will the giants reign, or will complacency and changing trends bring them down? We can only wait and see.